My workshop is on the roof top of my apartment. 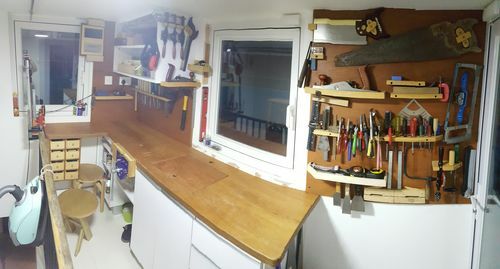 Nice view , tool shed and make shift evolving temporary type bench. I have been known to move the operation to the dining room on rainy days. 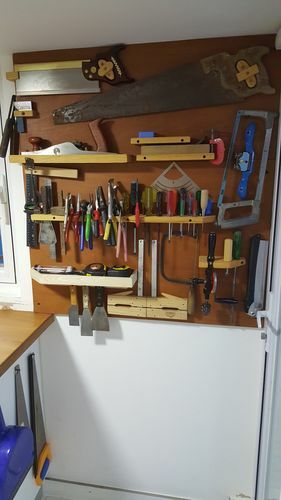 Please scroll down the comments to see more recent pics of the workshop. Wow! What a beautiful view off that deck ! 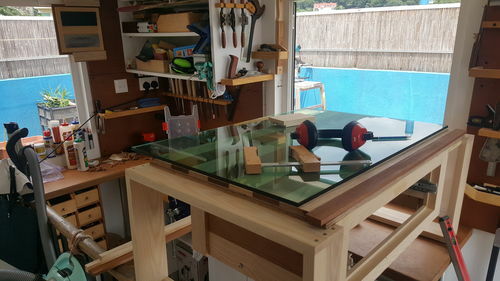 wow you are a motivated woodworker ,more power to you,I’ll never complain about my shop being to small again. It only gets tough when it rains.